Nature sounds are soothing to our minds. Waterfalls are miracles of the nature. What can be better than total relaxation in a cool rock pool fed by a waterfall? There are plenty of waterfalls you can visit in Azerbaijan. The journey to these natural wonders is so colorful and mouth dropping, you will not regret it. Gusar is sure to enchant any nature lover with its wildlife, hills and waterfalls. Azerbaijan’s “Northern Gates” has much to offer nature lovers. Favorable natural conditions create a great opportunity for organization of the resorts, recreational and tourist complexes in this area. The Shahdag Winter-Summer Tourist Complex has gained a high popularity both among locals and tourists. Not far from the complex there is an ancient village Laza surrounded by mountains and well known for its majestic waterfalls. 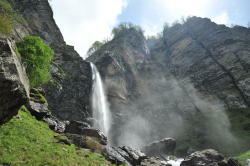 Laza waterfall is the most popular waterfall in the village of Laza in Gusar. The village is located in the northeast of Caucasus Mountains, at the bottom of a high mountainous plateau “Shah Yaylag” with height 4,242 m above sea level. Competitions on climbing are held at the frozen waterfalls in winter here. A journey to Guba will give you the opportunity to visit one of the most beautiful waterfalls in the Land of Fire. High about 75 m, Afurdja waterfall is located in Guba region. 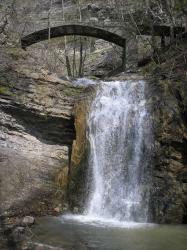 The waterfall has been included in the list of natural monuments of the Republic of Azerbaijan and is protected by the state. There are other waterfalls too, attracting tourists and travelers with their uniqueness and majesty. With its beautiful waterfalls, emerald green forests and historical monuments Gabala continue to attract tourists from across the world. One thing you will find when in Gabala is that there are many waterfalls here. Mychig waterfall takes its source from snow and rain waters in Gotur mountain and falls into Demiraparan River. High about 96 m, it is the highest waterfall in Azerbaijan. The other popular waterfall in Gabala is “Seven Beauties”. 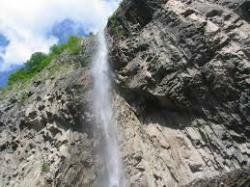 The waterfall is located 4 km far from the center of Gabala city, in the village of Vandam. In late autumn, winter and early spring, the area around the waterfall is covered with ice, and it is impossible to get here. Yardimli is located about 286 km to the south from Baku. The best time for visiting this wonderful place is spring and autumn. 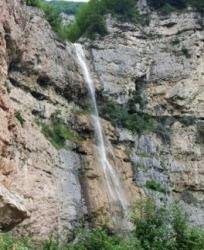 High about 34 m, Tekdam waterfall is the “calling card” of Yardimli region. The top of the fall is located at an altitude of 1,500 m and opens to a magnificent view of the surroundings. 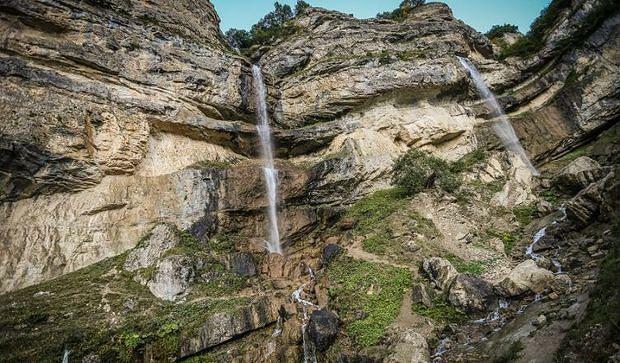 Waterfalls in the villages of Peshteser and Ostayir in Yardimli have gained popularity among nature lovers and tourists. No less popular place for recreation is the village of Perimbel, which is located on mountain slopes. There are also many small streams and springs in the region. Some of them are known from very ancient times. Local residents are engaged in carpet weaving. The small, stone-built village of Ilisu, set at the northwest tip of Azerbaijan in the Gakh region, is a great place to visit at any time of year. Favorable natural conditions make the place a perfect destination for mountain climbing and hiking, fishing and hunting. You can also make a tour of the neighborhoods on horseback. 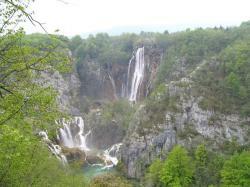 Ilisu waterfall is located in a highland area and to reach it, it is necessary to walk for at least half an hour. The height of the waterfall is approximately 25 meters. The area around the village has many historic monuments, including ancient Albanian Christian churches from the 4th-5th centuries. We've seen remnants of a church in the Lekit village of Gakh and another one in the town of Oghuz. Balakan, the county’s northwestern region borders Georgia to south and west and Dagestan of Russia to east and north. Archaeological finds including many historical monuments and kurgans in the region speak of early human habitation. Balakan was a part of Caucasian Albania. Located on the foothills of Greater Caucasus, Balakan is very rich with flora and fauna. Its mountains make up the big part of Zakatala State Reserve. The northern part of rayon is enriched with vegetation, among them hornbeam, alder, oak, chestnut, walnut, acacia trees, as well as raspberry, rose hip and medlar. One of the biggest waterfalls of Azerbaijan is located there. Katekh waterfall is 18-20 meters. The road to waterfall is very difficult road.